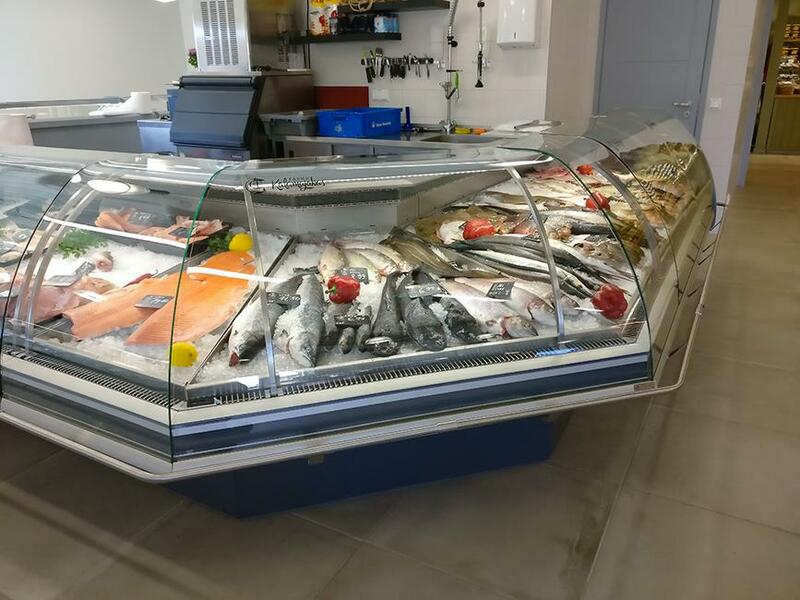 In Pärnu food market in Estonia FREOR serve over counters, operating with CO2 (R744 ) in remote refrigeration system, were installed in cooperation with our partners in Estonia company SISUSTAJA OÜ. 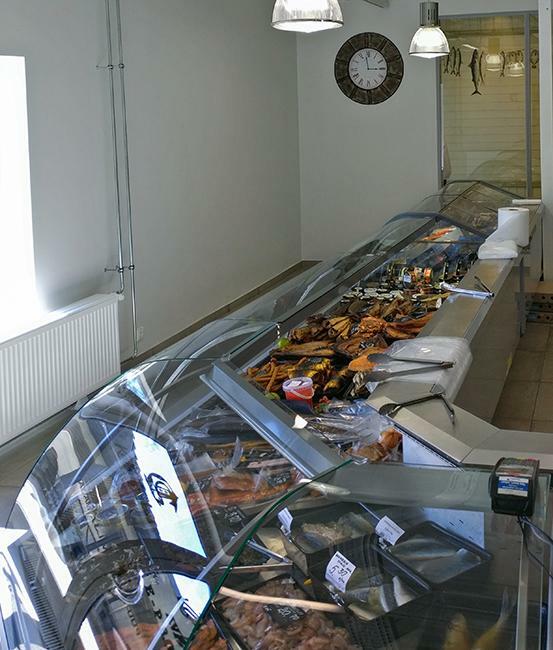 Pärnu market is a place for excellent fresh food: seasonal fruit and vegetables, herbs, honey, fish, meat and dairy products. To keep the perishable produce refrigerated, FREOR serve-overs of Green Wave CO2 series were installed. Serve overs DIONA S of 4 different lengths (10 units, 1.25, 1.88, 2.50 and 3.75 m) and low temperature counters DIONA S FREEZER (2 units 1.88 and 2.50m) were multiplexed and formed into semi-islands using OC 90 corners, 6 units in total. Carbon dioxide (CO2) is currently widely used in Europe in the field of commercial refrigeration as one of the climate friendly alternative to HFCs. It is a natural substance that is non-flammable, non-toxic, ozone-friendly and inexpensive. Opting for CO2 refrigeration technology reflects the company‘s commitment in safeguarding the environment. It is a long term solution in the light of the F-Gas regulations No. 517/2014, which is gradually phasing-out HFC refrigerants with high Global Warming Potential starting from 2020. At FREOR we have a comprehensive range of environmentally-friendly products to offer, adapted to operate on R744 (CO2) in remote refrigeration systems – our Green Wave CO2 series. 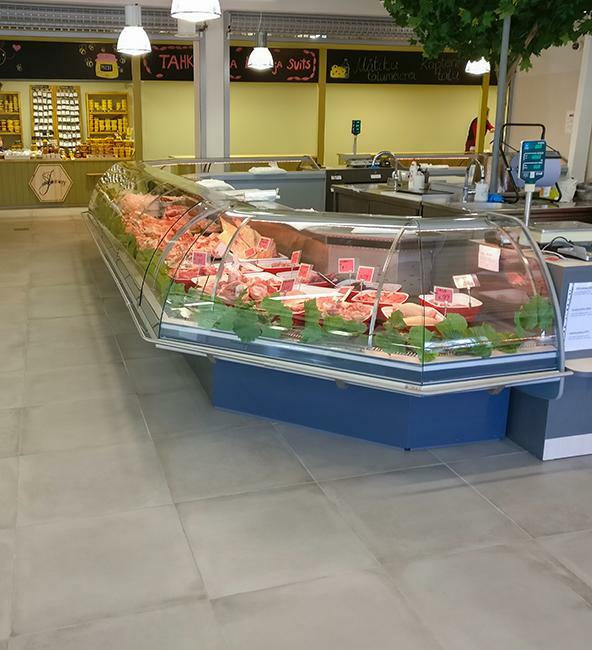 We also highly promote the use of eco-fiendly propane R290 in self-contained refrigerated display units – our wide range of Green Wave R290 product line ensure the highest level of energy saving and a reduction in carbon footprints. 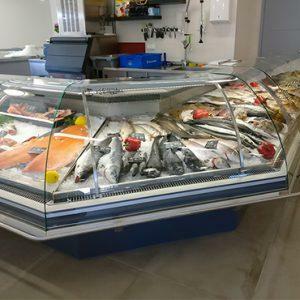 Refrigerated counter DIONA S has smooth tempered rounded glass that ensures the perfect visibility of any kind of fresh food. 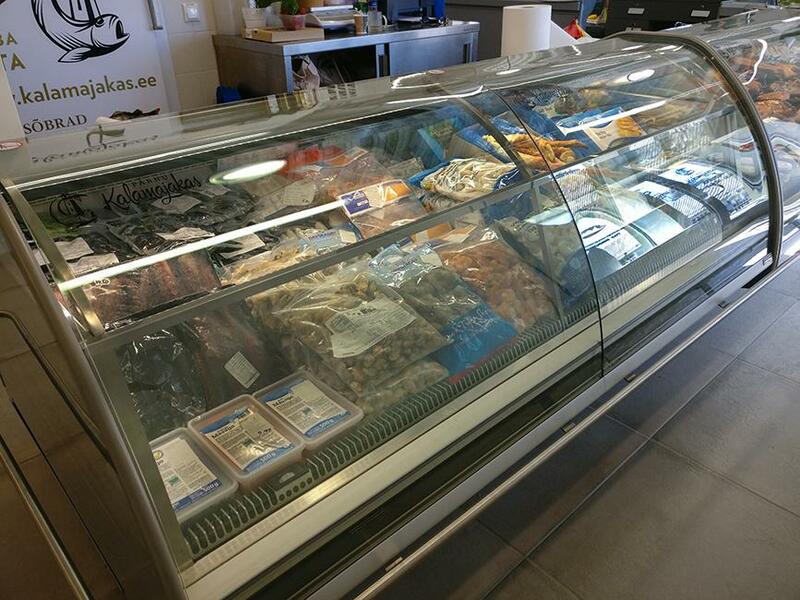 Plexiglass sliding doors from the back of serve-over helps to save about 10% energy. Stainless steel interior details are rust-proof, easy to clean and long lasting. DIONA S FREEZER has glass packets that help keep frozen products at the right temperature and ensure their preservation. Stainless steel interior makes the product long lasting. 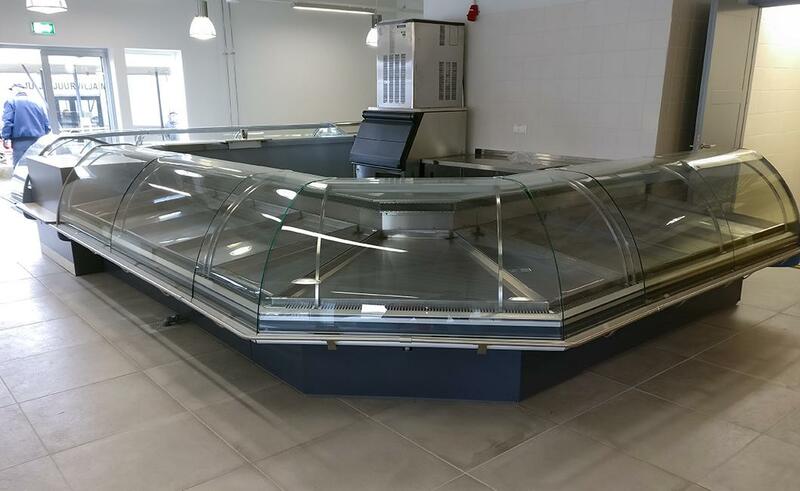 Combined with DIONA S serve-over counters, this rounded glass freezer counter is a great solution for any type of store or food market. For other serve over counters – check our other products.